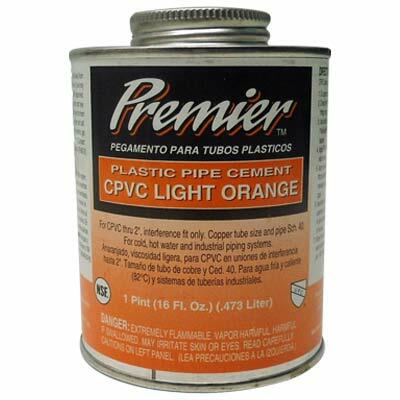 CPVC cement is regular body, medium to fast setting, for making connections for CPVC pipe and fittings up to 6″ in diameter. Meets ASTM D-2546. We recommend for a good bond that you use the all purpose primer/cleaner also.